After travelling to Argentina, and Chile, RPS finally arrives to PERU! In case you are not familiar with RUTA PANAMERICANA DEL SONIDO (RPS) let’s re introduce it. This is a sonic trip, in where two main travellers, Chong X and Caballo, a-la Che Guevara, will be visiting each Latin American country joined by local and foreign producers to reproduce in their opinion what each country’s music represents to them. GET THE ALBUM FOR FREE!! Now at their third stop is the INCA reign! 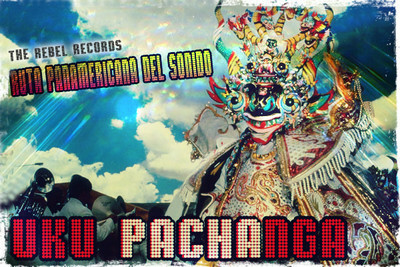 In where Chichamuffin, Indigenous Bass, Afro Peruvian folklore and Global Bass clash with Moombathon, Cumbia, and World Music. Music from Dengue Dengu Dengue, Subversivo, Wendy Sulca, La Inedita, Kuto Selectah Quilla, Seizo, El Gato deejay, Chong X and Caballo.